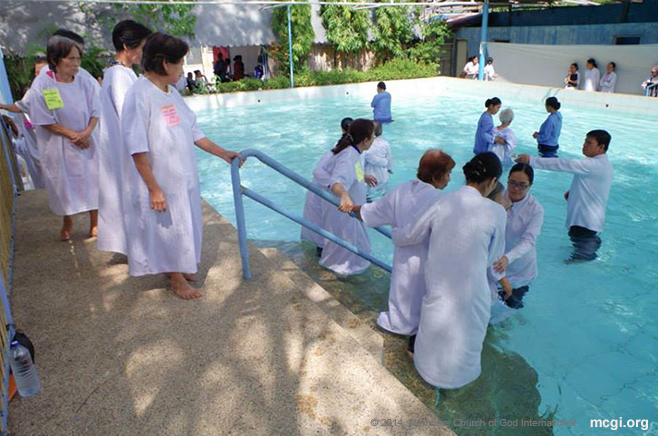 Read short testimonials of faith from some of MCGI’s youngest brethren baptized on January 29, 2016 at the Ang Dating Daan Convention Center in Apalit, Pampanga. It’s because of the teachings that I’ve heard from Bro. Eli, which I didn’t hear from the religions that I’ve been in. It’s only from him that I heard the truth. That’s the reason why I was convinced to join here. I became a member of a Born Again group, but I haven’t attended there for like seven years already. I first listened to Bro. Eli in Late July of 2015 up until January on radio and television. I guess that’s what they call the calling of God. I felt so happy it’s a different kind of joy. It’s like all the emotional baggage that I used to carry was gone. May they continue their preaching of the good news of God. I hope that their lives will be longer, and continue in persevering, in patience as they will reap the benefits that our Father and God will give them. It was my boyfriend who introduced this to me. 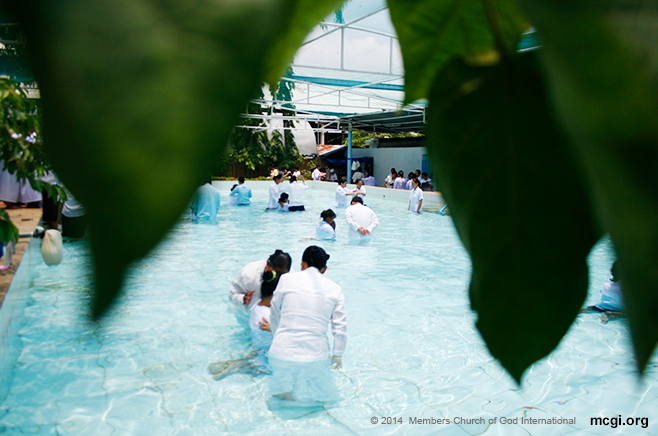 Though he was hindered by his family, he was still able to get baptized last week. I heard about Bro. Eli from him before. The things that Bro. Eli says, he tells me. Then, when I was able to hear them straight from Bro. Eli I found them to be true. Everything in the doctrines is true because I experienced it as well. Especially in times, of hardships, I seek help from God, and He answers. I cannot explain the feeling. Actually, even as the baptizer was asking me questions, my tears just fell, and it felt different. I felt happy and at the same time inexplicably so. I don’t know; I really cannot explain it. It just feels so light. For Bro. Eli and Bro. Daniel, I hope that you will have more strength and continue in preaching the word of God. I hope that you will be able to help many more soul in instructing them towards the right path, as you have me. I can’t remember the first time that I heard The Old Path on radio, but after that I decided to get indoctrinated, and continued from then on. I felt light. Actually, I was crying as I was being immersed in the water. Bro. Eli, thank you because I have now found The Old Path and have known the Church of God. It’s because of my eldest son, Bro. Randy Evangelista. He was the first gift to me and my husband. My husband joined the “Suhay” [Church of God Pillar and Brace of Truth], while I joined the JIL. I was previously a Catholic, then in the Born Again with Eddie Villanueva. Then, I excluded myself from it, and just prayed to the Lord at home. Presently, I am being healed by the Lord because I have a metal brace in my body. I underwent orthopedic surgery. My son just shared things with me. Then he said, “Ma, just listen.” But even before that we already listened. But then, what I didn’t like about him was that he shouted. I asked, “Is this really a pastor? Why is he so bold?” That’s just what I thought. Gradually however, he was able to encourage me. It’s like I developed a “crush” on him. I started listening in 1998; I was still active in the JIL back then. [Laughs] My mister really liked Bro. Eli. I told him, “He curses.” But now, as when I was getting indoctrinated, I see him now as a meek lamb. My son got baptized last year, and me this year. And perhaps, God willing, my other children as well. As for my husband, I don’t know yet. When I was in the JIL, I was very active. Everything said there, I followed. I was able to bring my godchild there to be baptized, as well as me and my children. My husband was aboard a ship then. I have five children, and what I want is wherever I am, my family will be also. I shared with them the Word of God. I got offended one time when we attended a worship service in JIL in September. Erap had just won the presidency back then. Now, before there was a service, like a Bible Study, etc, Pastor Sylvia said: “Parents, brethren, I have something to explain to you. I hope you won’t be offended. “Our president now is Joseph ‘Erap’ Estrada. The scientific name of Erap is like this and like that.” I felt that I got deafened. I didn’t like what she was saying. Even my husband got irritated, and lost interest. Another thing that my children disliked was that when they attended, they just got hungry. Also, the people there were just chatting nonsense. I didn’t anymore convinced them otherwise because they were already teenagers then. Now they have their own families. I felt the Holy Spirit. I really felt it. May the Lord will for him to have a longer life that he may be able to save many more souls who are drowning [in false religions]. It’s only here where I heard the doctrines that are extraordinary. It’s only here where my mind got enlightened. And it’s true. My grandmother was the one who encouraged me to join. I’m from the province and my entire family is Catholic. I’m the only member of the Church of God. I just accompanied my grandma going to the locale, until I became a member of the Church of God. I felt different. I felt light inside. It’s like I have a new life. May they take care and continue to teach here in the Church of God.